Treasure Valley Treats and Tragedies: SHIOK! A few weeks back, I had occasion to venture to Twin Falls. 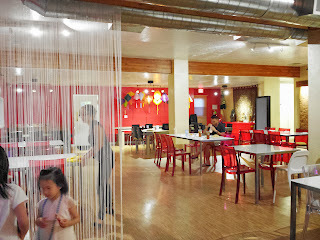 I was excited at the prospect, since there are a few eateries there that I've been wanting to write up. Unfortunately, most of them decided to close down for the Labor Day weekend. And that's how I found myself driving back to Boise on a Saturday night angry, hungry and with rapidly dwindling options. 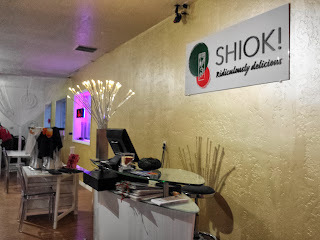 About the time that I was trying to decide if I'd have to get some crappy fast food in Mountain Home or if I could struggle through to Boise in hopes of finding something better, I recalled that one of my Facebook followers had recommended checking out an eatery in Mountain Home called SHIOK! SHIOK! has a Facebook page which describes them as a Singaporean restaurant, but their website says they serve authentic Chinese cuisine. 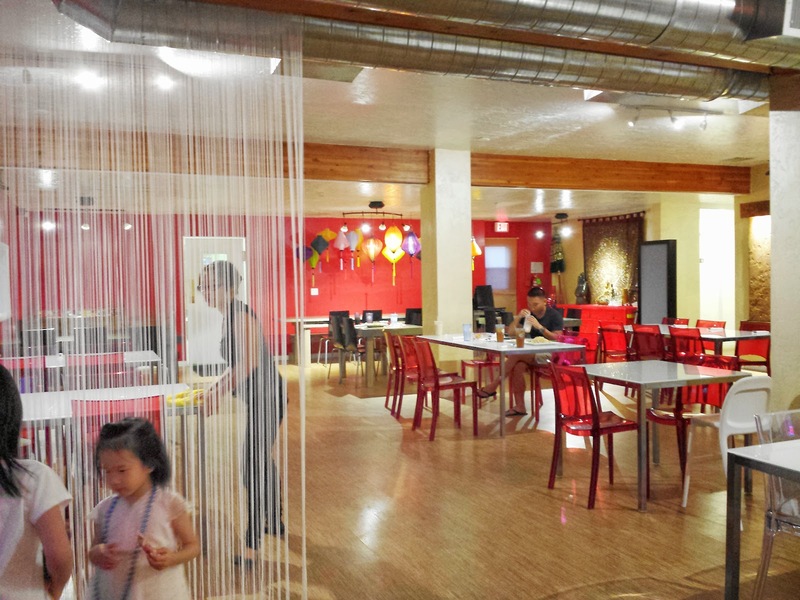 Suffice it to say they are an Asian restaurant that borrows concepts and dishes from a variety of regions. The most interesting thing about going to SHIOK! was finding it. I plugged them into my phone's GPS and was taken on a long, back roads tour of Mountain Home, passing many empty fields and desolate residential areas along the way. When we finally found it, quietly tucked away in a gravel lot, my roommate decided she wasn't feeling adventurous enough to join me. I decided I would just get my food to go and eat it on the road. When I walked in, there was a family of ten or so who were only just being served their food, which made me feel less guilty about putting in a take-out order so close to closing. I perused the menu for a few minutes, seeing the usual assortment of sweet & sour egg flower hot & sour general's wonton lemon orange sesame kung pao mu shu chicken pork shrimp...well, you get the idea. However, there were a few other options hidden amongst the usual suspects: fish maw soup, whole fish (steamed or fried), salted fish & chicken hot pot, and shredded pork with black fungus and spicy garlic sauce...but when I told the man holding down the counter what I was in the mood for, he recommended the house special seafood noodles in XO sauce. I decided to take his advice, since I'd never actually tried XO sauce before but had recently read that it was something of an up and coming ingredient on our shores. As a safety net, I added an order of "rangoon and roll" from the appetizer menu, a combo of three cheese rangoons and three spring rolls. I love both of these items and very rarely come across a bad example of either, so I figured that even if I didn't like my entrée, I would still at least get something on my stomach. Back in the car, I opened up the container of fried finger foods and shared them around with my roommate and her elder daughter. All three of us dig spring rolls, so those were gone in short order. Everyone agreed that they were pretty tasty. The rangoons were a little harder to get rid of, and after I had convinced my skeptical co-pilot that there was absolutely no crab (or krab, for that matter) in SHIOK! 's version, she deigned to try them and agreed that they were good as well. The house noodles are one of the dishes described as particularly Singaporean on the SHIOK! menu. I've heard that XO sauces are generally spicy, but my dinner was decidedly not so, so either there are different styles or they decided that I wouldn't be able to handle the hot stuff. Either way, this was the kind of savory, noodly Asian comfort food that I flip for. The generous portions of seafood didn't hurt either. I loved the shrimp and scallops as much as I usually do in these instances, and even the squid (which I normally hate) was the least off-putting I've had in a long time. I actually ate two pieces! Labels: Asian, Mountain Home, SHIOK!